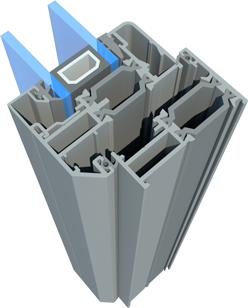 An architectural window system to match the TecTURA and VisTA door range. 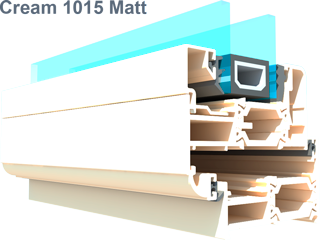 Energy Rated, 28mm sealed units. 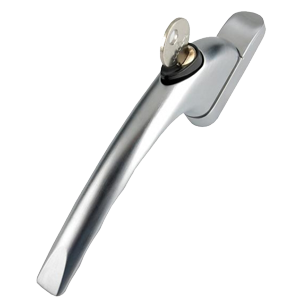 Choose from two outer frame heights. Three sash designs to suit your property. Measure your aperture width in 3 separate places and then deduct 10mm off your smallest size. This will be your order size. Measure your aperture height in 3 separate places and then deduct 10mm off your smallest size. This will be your order size. 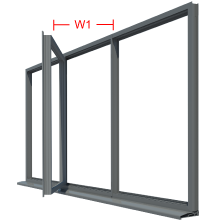 The mullion width, W1, in the image shown is measured from the side of the frame to the centre of the mullion bar. The industry standard is 600mm. To conform to building regulations all first floor windows must have a means of fire escape. Bathrooms, toilet and landing windows are however exempt. This style of window will conform to fire regulations provided you have a minimum 600mm mullion width and the height of the window overall is no less than 950mm. This window can of course be installed on the ground floor without consideration, unless it is in a room that does not lead directly into a hallway or does not have a main exit door. Current regulations state that you cannot downgrade your existing means of escape in the event of a fire. This window conforms, subject to the above, and would not be downgrading your means of escape. Min: Width=1300mm. Max: Width= 2600mm. To arrive at the correct price you must select the correct size range e.g. 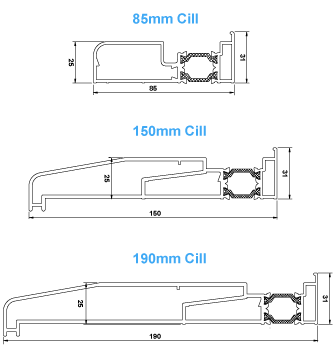 window width = 1850mm , the size range = 1801mm to 1900mm. Windows can be manufactured outside these dimensions. Please call us on 024 76 694 162 to discuss. Q: I need a wider frame or frame extension to allow for plaster reveals? A: Contact us after placing your order via e-mail to confirm your requirements. Q: Can I order integral blinds? A: Yes, please contact us to discuss your requirements. Hover over colour for enlarged image. Before ordering a specific RAL colour you must always check that it is readily available and not subject to a surcharge. 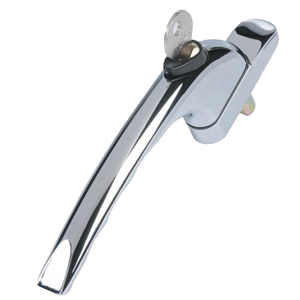 A total minimum order value of £2500 inc VAT applies. Select either a 33mm frame height for very slim sightlines or a 47.5mm standard outer frame. On 33mm frames please ensure you take into account for the depth of your plastered or rendered reveal. "A" rated windows are not available with a 47.5mm frame. Click on the drawings below to view a printable detailed CAD drawing. Click image to enlarge and print. 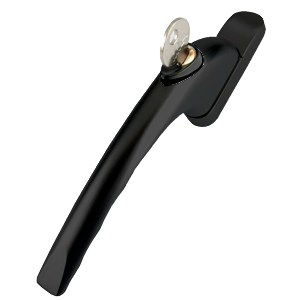 On a chamfered casement window the leading edge of the sash is chamfered. The glazing bead is a square design and matches the bead used in the fixed lights. Click on image for enlarged image. On a scotia casement window the leading edge of the sash has a scotia design. On square line casement windows the leading edge of the sash is square. The glazing bead in the sash is a square and 9mm deep. The glazing bead in the fixed lights is the same design but is a different dimension at 13mm deep. The industry standard is 150mm. You can also choose from a stub cill or 180mm cill. 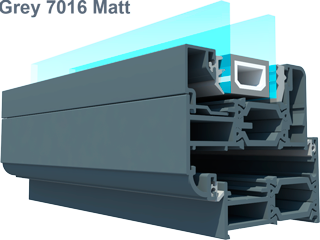 All our windows are made to such a high specification; they automatically conform to the current building (PART L) regulations. The only other consideration is if trickle ventilation is required. All habitable rooms require 5000mm sq. of equivalent air. If you have no other means of venting your room ( i.e. 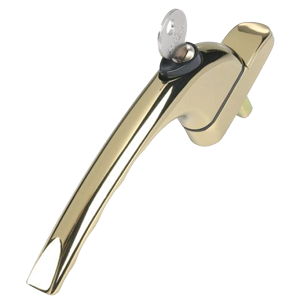 a brick vent, mechanical ventilation or another door or window with a trickle vent fitted) then a trickle vent will need to be fitted to your window. 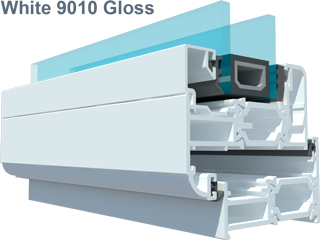 On aluminium windows utilising the standard 47.5mm frame the vent is fitted into the head of the outer frame. A 33mm frame extension is then required to prevent the vent fouling internal plaster work. Click here for a detailed drawing. 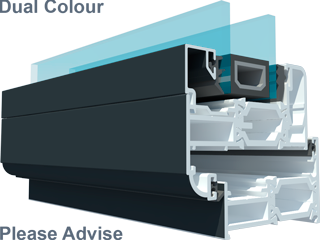 On aluminium windows utilising the slim 33mm frame the vent cannot be fitted into the frame directly. The vent is fitted directly into a 42mm frame extension, allowing the vent not to conflict with the internal plaster work. Click here for a detailed drawing. If you are replacing an existing window and not changing the structural width of your opening then building regulations do not apply. If the window you are replacing has trickle ventilation already fitted, then it is a requirement that a trickle vent is fitted to the new window. You may choose to have a vent fitted regardless of if being a requirement, to aid background ventilation. Centre pane "U" value 1.2 m²K. Warm Edge Spacer Bar, Argon Gas, Soft Coat Glass. Conforms to the minimum requirement of Document "L" of England and Wales building regulations. 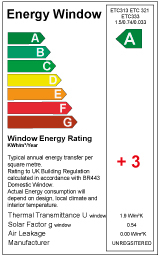 A product specific Window Energy Certificate is available on request. 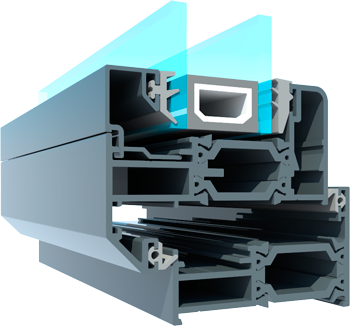 Low Iron Glass, Warm Edge Spacer Bar, Soft Coat Glass. 47.5mm Frame: Does not conform. 33mm frame required. Low Iron Glass, Argon Gas, Warm Edge Spacer Bar, Soft Coat Glass. Maximum performance with enhanced energy costs. We also offer an option of solar control glass which is perfect for rooms that are south facing and prone to overheating. 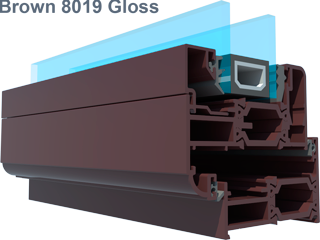 The outside pane of glass has a special clear coating which provides an increased solar reflectance of 57% compared to 24% on "A", "B" and "C" rated windows. It works by simply reflecting the heat from the solar gain of the sun. This is opposite to energy rated windows which are designed to absorb some of the solar gain, in order to retain the heat when outside temperatures are low. 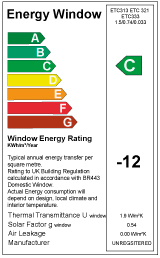 To conform to building regulations windows must either be supplied energy rated or have a "U" value certificate, of 1.6 or below. 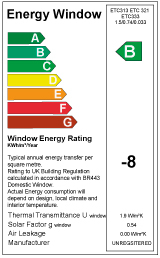 Therefore when ordering solar control glass, on request you will be issued with a "u" value certificate and the window will not be energy rated. Although the coating is clear, it has a different reflective property to that of energy rated glass. The outside coated sheet of glass is also toughened as standard. If you are ordering other products that are to be sited near to a solar controlled window, we highly recommend that they also have solar control glass, to give an equal appearance. If you require an obscure glass pattern, please choose from the available pilkington range. Please download the textured glass brochure to aid you in your choice. 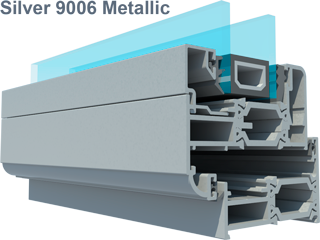 Glass only requires to be toughened in critical locations as defined by part "N" of the building regulations. 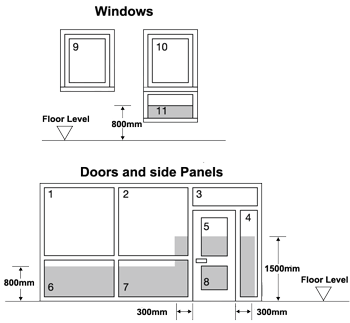 The below diagram shows locations which require to be toughened ( i.e. shaded areas). Download part "N" for the detailed regulation. Choice of Square or Diamond Leaded. When ordering square leaded please advise by e- mail your existing square size and preferred grid layout. When ordering Diamond Leaded please advise existing diamond size. CAD drawings are provided for square leaded glass only, to ensure our layout matches your current design. If not advised otherwise we will manufacture to our standard layout. Choice of 18mm or 25mm bar width. Available in White, Brown and Acorn colours. When ordering please advise by e- mail your existing square size and preferred grid layout. Full CAD drawings are provided after an order has been placed, to ensure our layout matches your current design or preferred choice. The additional cost per window is £125 inc. VAT, to be paid on the morning of the installation, on new build extensions only. A full survey is included. The warranty is one year on labour, plus a standard 5 year parts warranty. 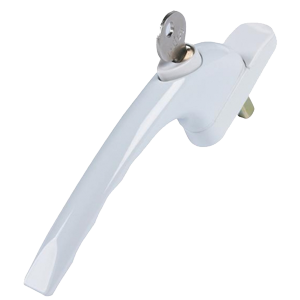 Due to the demand for this service, delivery and installation is 4-6 weeks from date of order. 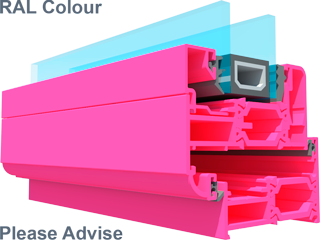 Before ordering a window with an installation service, you must first be advised that we will undertake your order, by a slideandfold.co.uk representative. You will be given a reference number to validate your order. You will need to e-mail sales@slideandfold.co.uk digital pictures of the front and side access of your property. Plus images of the outside and inside view of where your window is to be installed. You will be bound by all terms and conditions found at www.slideandfold.co.uk.